You return home after a long day at work. You just wish to relax and have some quiet time in your home or condo. Unfortunately before you can decide where you would wish to relax, your neighbor below you begins to play music at a volume loud enough to believe that the system is in the room with you and the dog next door begins howling in response. It is an unwelcomed intrusion into your home. A huge advantage to installing a carpet is that it absorbs sound. 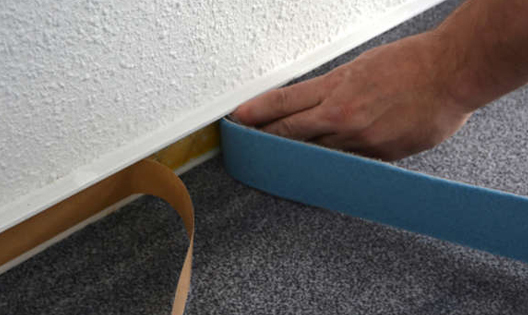 Additionally, cushion padding installed beneath your carpet further reduces noise. This carpet sound barrier even helps block sound between floors and when installed on stairs carpet helps reduce the noise of persistent foot traffic. 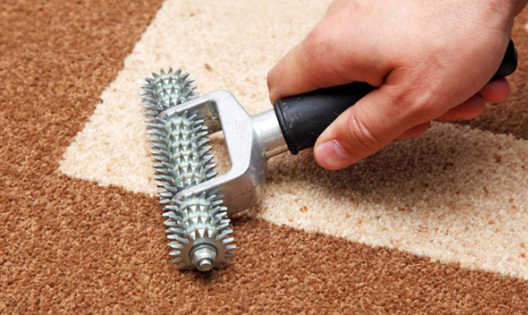 Right and Clean can provide professional installation services for your carpet. We recognize that a carpet is an important accessory to your home, adding beauty to it and accentuating the colors of a room. But your carpet is also functional as it not only acts as a noise reduction method but also improves the indoor air quality of your home. New carpets can act as a passive air filter for your home. Carpets can trap pollen, dust and other allergen particles therefore removing them from circulation. In fact recent studies have shown that persons with asthma and allergies see an improvement when a carpet is installed in their home. Looking for best rug cleaning in Atlanta? Once you have decided on the perfect color and style of your carpet, your next step is to hire an experienced professional to install it. It is recommended that you choose a professional to install your carpet rather than do it yourself. While it may seem desirable to install your carpet on your own, there are many issues that can go wrong and these mistakes can end up damaging your new carpet permanently. We also offer top quality Atlanta carpet repair and stretching. Right and Clean are the professionals in the Atlanta area who can install your carpet perfectly each and every time. Carpet installation is a big job and Right and Clean are the professionals who will consistently give you quality work. We are good at what we do and we aim maintain a high level of standards when we install your carpet. When we have completed our installation, we guarantee you will be satisfied with your plush, new carpet that will beatify and enhance your home. So call Right and Clean now to schedule your carpet installation in Atlanta at 404-333-8347.